Develop your passion. Pursue your dreams. Start your journey on the road to success. How would you like to learn about business and entrepreneurship from one of the top business schools in the country? 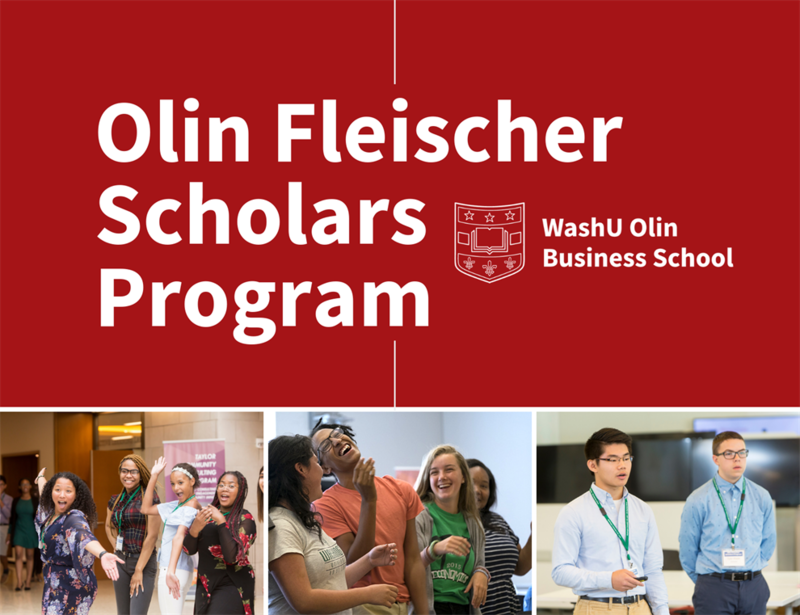 The Olin Fleischer Scholars Program (OFSP) provides rising high school sophomores, juniors, and seniors a unique, week-long educational experience at Washington University in St. Louis (WashU). 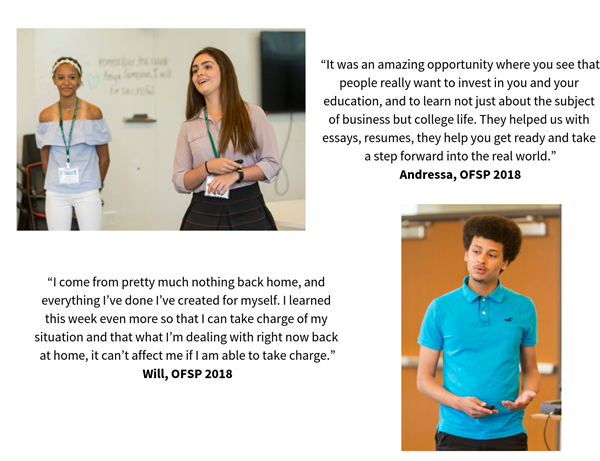 This program is designed to help students with limited financial resources, those from underrepresented populations, and/or first generation students prepare for college and their careers. Experience campus living at Washington University with other area high school students. 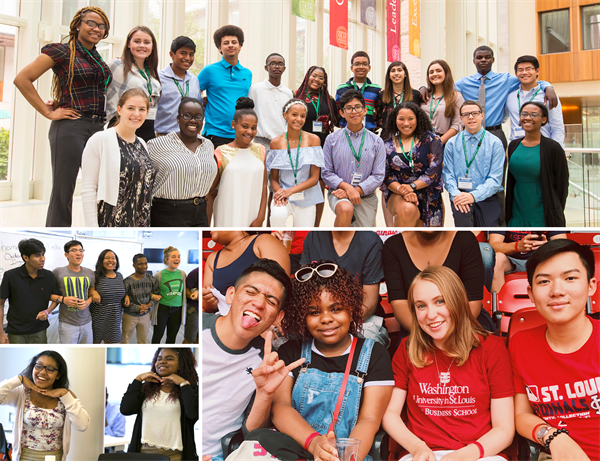 Students who will enter their sophomore, junior, or senior year in high school beginning Fall 2019 and are from underrepresented or low-income backgrounds, and/or potential first-generation college students. The program is completely FREE for accepted student participants. Housing, meals, and materials are all included. Instructions for the Recommender's letter of reference: Based on your familiarity and experiences with the student, please address his/her academic ability, interest in the field of business, and their personal character in a one page, signed letter. Applications are currently being accepted until March 15, 2019 at 11:59 p.m.
An application to Washington University is not required, and admission is not guaranteed.